It’s taken extremely seriously and is very well supported – there was disappointment that there had been a mere 200+ entries this year (in the wake of the abysmal summer and subsequent failure of even the most accomplished of local veg growers’ crops) – a shadow of last year’s 570 entries. I chose this year (perhaps in anticipation of there being marginally less fierce competition than usual) to make my debut. To be honest, with cucumbers like this to contend with – in early August! – it’s not really that surprising. I was congratulating myself the other day on the appearance of my second fruit: it has taken me a little while to get going with the cukes this year as planting them involved moving an entire greenhouse, so they were a little late off the starting blocks. Seeing this lot makes me realise just how late. And as for the leeks… just look at these leeks! And these are grown in people’s back yards, on their allotments, possibly in their greenhouses I suppose, but with no special facilities. I have, quite literally, no idea how you do that. I was going to enter my onions – I have a fine crop of onions this year, at least – but I ran out of courage faced with this lot. As you can see, it’s not all about size: presentation counts for a lot, and these guys are pros. However, with a little emergency work with the elastic bands at the last minute I did manage to get my shallots into presentable condition – and scored the triumph I am most proud of: a third! Those are mine, on the blue plate. Next year I shall know better and have them beautifully laid out on a tray of dried sand like the seasoned exhibitor who won first prize: sometimes I think entering competitions like these is as much about learning what’s required as anything else. My flowers were an absolute damp squib: I only entered two or three classes but drew a blank in all of them. I dare not take on the rose growers, or the chrysanth growers, or indeed the sweet pea exhibitors, all of whom had been doing it for far longer and with far more dedication than me. I simply bow to their superiority and admire. I did think I’d have a chance with my ‘five sprigs of herb plants, all different’ – but I messed up by trying to be clever. 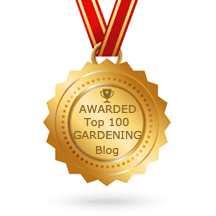 My herbs were – to my eye – much bigger, healthier and generally more impressive than the other entries, so I had really high hopes of a first in that one. But I had decided to put in two different types of mint (I am building up quite a collection and they’re rudely healthy at the moment) – and that meant I was the dreaded ‘NAS’ (Not As Schedule) since they meant five different genera of herb plant. Bother. You couldn’t help being impressed by the standard of exhibits: this was one of the floral art entries from our local and very talented florist. She’s almost impossible to beat – one of the few times I’ve been glad I’m no good at flower arranging and therefore have no incentive to put myself in for this sort of thing. And of course there were the fun classes and the kids’ classes. The youngest was mighty chuffed to win a whole £2.50 for her friendship bracelet and handwriting entries (best not to mention the sock puppet). And oldest was doubly chuffed that her painting won a second prize against the grownups: she’s too old these days to enter the children’s classes. Probably my favourite class in the whole thing, though, was class 111: an animal made from vegetables, in the 3-4 years age category. Don’t you just love this little guy? That cauliflower lamb is a delight!Why do the onions wear tiny blindfolds, your shallots too? Hi Diana – they aren't really blindfolds (though I kind of like that idea), they're elastic bands. The class was 'without tops' which means you cut off the leaves, fold over the bit that's left and secure it neatly with an elastic band. Just looks neat, I think!Karen – really good luck in the show! I shall keep my fingers crossed for your flowers – hope you do better than I did!